Nissan got creative with the Titan this year, transforming it into a mobile barbecue smoker on one occasion and a beach tent on another. 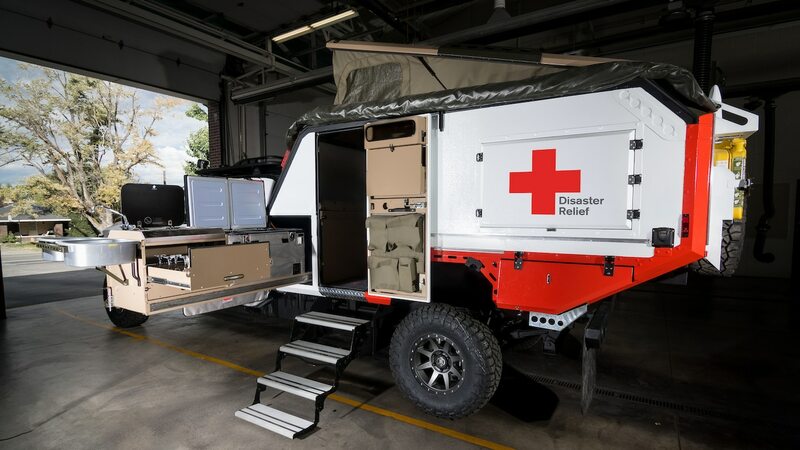 Now, a bespoke Titan XD will serve a nobler purpose as a rescue vehicle helping the American Red Cross. The Ultimate Service Titan debuted at the Miami auto show this week. After the event is over, it will assist Red Cross workers in South Florida in everything from emergency care to blood drives. Nissan transformed the Titan XD’s bed into, well, a different kind of bed. Here, there’s an emergency response bed, first aid supplies, a generator, wrap-around awning, storage racks, and a SnoMaster refrigerator for storing blood. 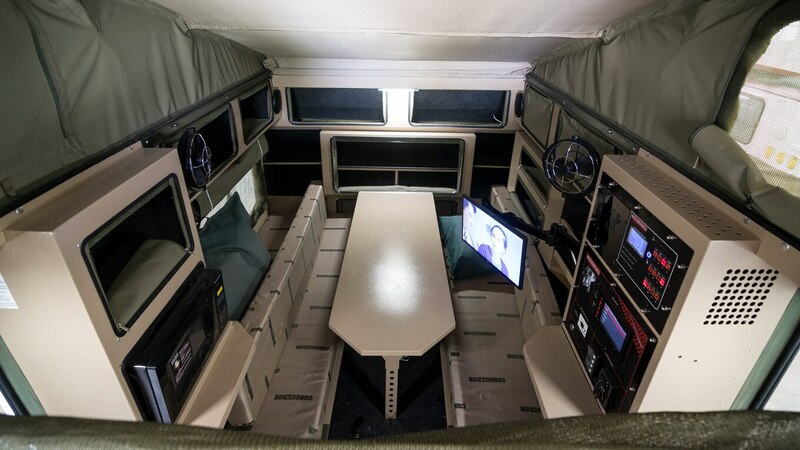 Other features—including a stove, microwave, and sink—make the vehicle suitable as a break area for volunteers between shifts. The vehicle also has Wi-Fi and solar panels. To tackle difficult road conditions, this Titan XD comes with Nitto Ridge Grappler Tires, an Addictive Desert Designs Stealth Bumper, and a 3-inch lift kit. A Warn Zeon Platinum 12S winch assists in rescue efforts and debris removal. Ensuring the Titan won’t run out of gas, the truck gets a custom fuel tank with a capacity of 75 gallons. Special lighting from Baja Designs illuminates the road in the dark. The bespoke truck is based off the Titan XD Diesel Midnight Edition Crew Cab. Under the hood is a 5.0-liter V-8 turbodiesel with 310 hp and 555 lb-ft of torque. For 2019, Nissan gave the standard Titan and Titan XD a few key updates. The trucks come standard with a larger touchscreen, standard Apple CarPlay and Android Auto, and an available 12-speaker Fender audio system. The post Nissan Titan XD Transforms Into a First Response Vehicle appeared first on Motor Trend. Is the Galaxy S9 a good upgrade over the S8?